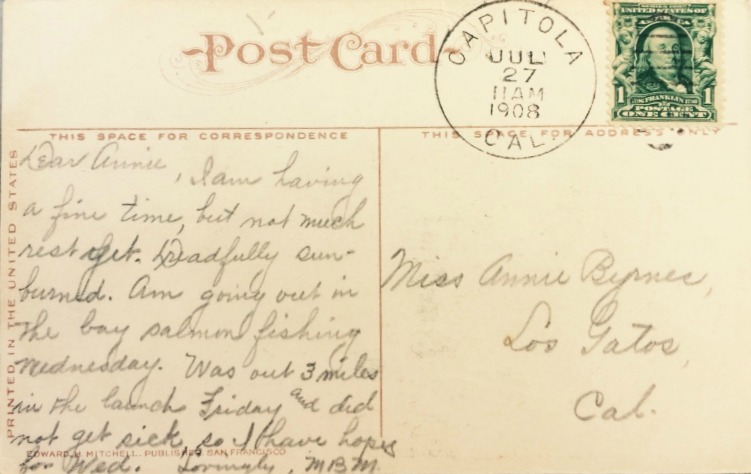 This Post Card was sent from Capitola all the way to Los Gatos 109 years ago today! 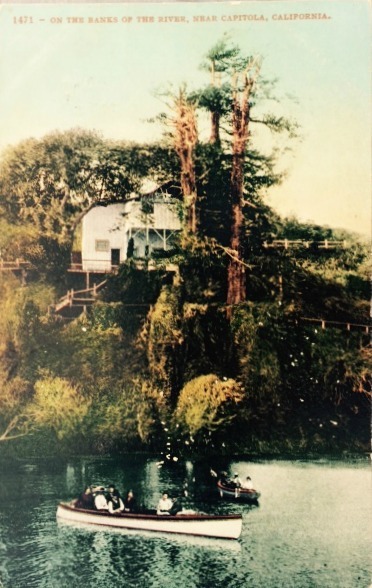 Since this is the final year of the Capitola Begonia Festival, this postcard is particularly poetic. And although this card was sent about 34 years before the first begonia festival, I like to think that I can spot a red begonia tucked into a vacationers fine hat. Take a peek at the photo below and tell us if you think that’s a begonia you see there. 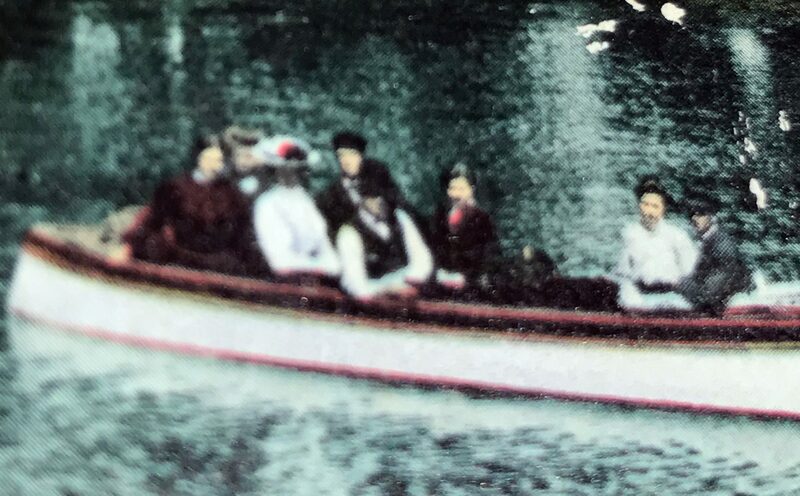 Is that a begonia tucked into a fine hat floating down Soquel Creek to Capitola? 1471 – ON THE BANKS OF THE RIVER, NEAR CAPITOLA, CALIFORNIA.